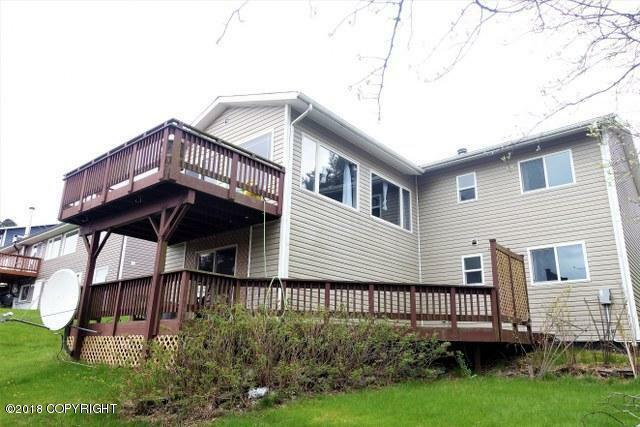 1520 Baranof Street, Kodiak, AK.| MLS# 18-7815 | RE/MAX of Kodiak - Alaska Real Estate - "Honesty & Integrity...It's That Simple!" Or complete the below form and we'll get in contact with you! Are you prequalified for a loan? Don't be deceived! Behind this sweet front entry is a 2510 square foot home boasting 4 Bedrooms, 2 Baths, a workshop, double living spaces, and plenty of storage! With two beautifully renovated bathrooms, double decks, a new gas fireplace, and a spacious yard this home is a must see! New carpet, hot water heater, dishwasher, washer and dryer! At RE/MAX of Kodiak we believe in Honesty & Integrity...It's That Simple! Care for both our buyers and sellers in the Kodiak Island Borough area is critical, because no real estate transaction is alike. We pride ourselves on offering invaluable information and resources to prepare you for your future purchase or sale. When you're ready for your next step in home ownership, think RE/MAX of Kodiak, and contact us!